I love bright paisley prints in the summer. My love affair started a few years ago with a couple of dresses from Old Navy. Whenever I wear them I feel as pretty and carefree as the pattern and, almost every time, someone compliments me on the dress. That’s why I couldn’t resist fullbeauty.com’s offer of their Petite Knit Dress from Woman Within in the Seaside Blue Print Such a pretty dress for summer days. 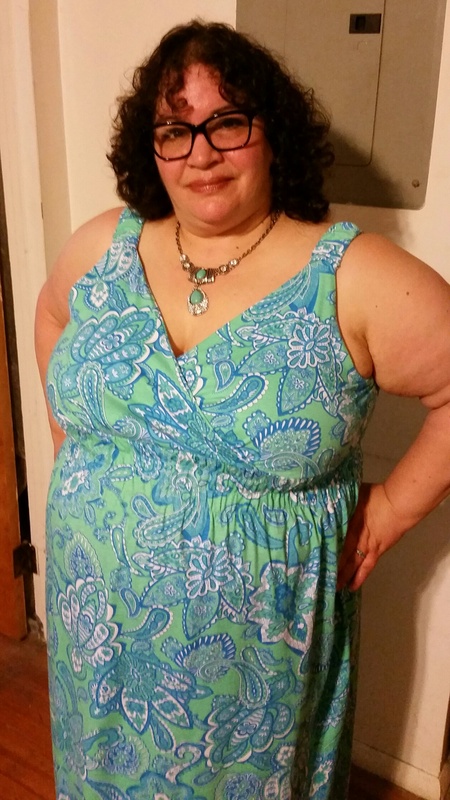 I couldn’t wear the dress right away because it didn’t arrive in the petite length. Since I don’t possess a sewing machine or the skills, I turned to my friendly neighborhood tailor. At 5’2″ with an apple shape, it’s not easy to buy clothes that will fit perfectly. Since I usually buy clothing on sale or at thrift, I find it’s worth the money to have some items altered just for my body. Once the straps and length were taken up, it was a matter of waiting for a warm, sunny day. If you live in the Northeastern area of the US, you’ll know that there have been more cool, cloudy days lately. Not that I was complaining… we need the rain. 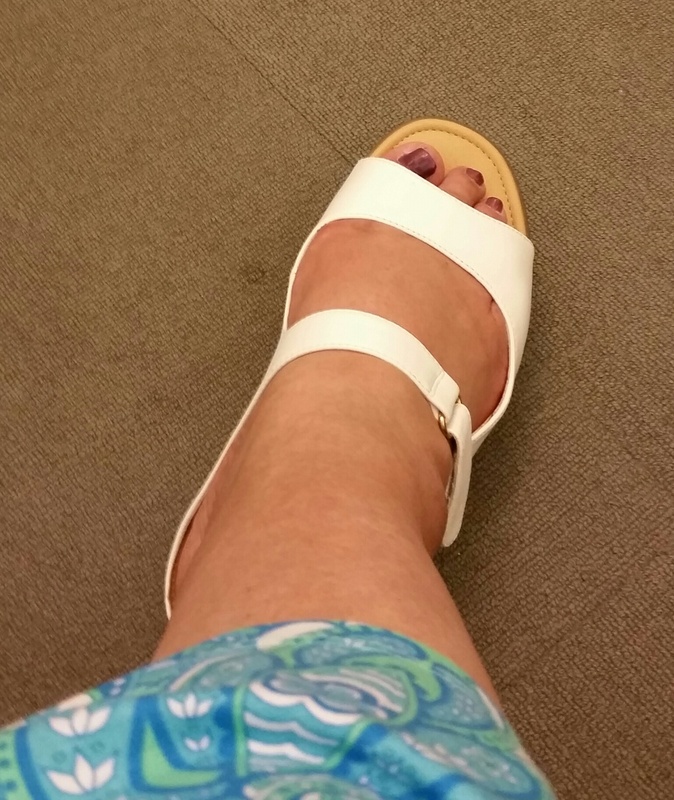 Since today was predicted to be bright and sunny, I paired the dress with the Corri Mule by Comfortview® Energy Flex® that I’ve worn a few times. With memory foam padding and skid-resistant soles, the sandals are so comfortable I took advantage of a recent sale to also get them in brown and black. And the dress? Comfy, cool and oh-so-cute. I wore a pair of Comfy Cotton Bike Shorts from Re/Dress Online (that lives up to its name) to combat the annoying chub rub and was off to work feeling fabulous and fresh. I’ll be sure to order more of these dresses in other lovely paisley prints. Until 6/14/15, use code WW23039 to save 40% off of your highest priced item from Woman Within. Previous Post Why Isn’t Gabourey Sidibe the Face of Body Positivity?